Leeds jazz/soul/global beats DJ Lubi Jovanovic begins another year for his popular Soul Rebels Sessions at The Wardrobe, the seventh since launching in 2012. As usual, it’s banging triple bill of great live bands, this time celebrating local heroes from the city’s thriving jazz/beats/soul scene. Têtes De Pois are a young 7 piece Leeds band playing jazz with added soul, hip-hop and global beats who are making waves UK wide right now. 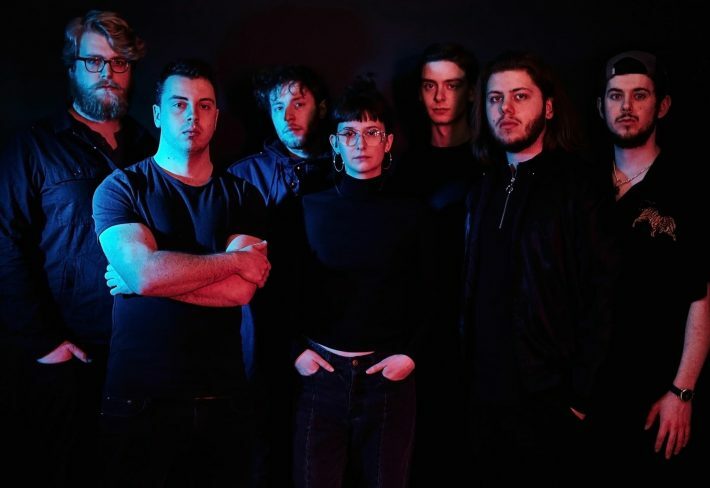 Only three years old and part of the Tight Lines family, they’ve already released one EP, a couple of singles, done their own full UK tour, supported the likes of Ezra Collective/Fatima/Soweto Kinch, and played big festivals like “A Love Supreme” and “World Islands”. Tonight, they launch their second EP, four more original songs featuring some special guests including rapper Franz Von (KOG & The Zongo Brigade), saxophonist Rob Mitchell (Abstract Orchestra leader) and vocalist Alice Higgins (New Position/TipToe). They’ll have limited edition vinyl copies on-sale at this gig. Grab one on the night or miss out. Special guests still to be confirmed. Support band Project Hilts are a new outfit coming from Leeds College Of Music and are led by London rapper Hilts (Danny Hilton). A veteran of the London grime scene, Hilts soon tired of making beats in his bedroom on his laptop and decided to come and study music production in Leeds. Once there, he teamed up with some great young musicians and singers to form an 8 piece live band that brings together hip-hop, soul, jazz and grime. Their debut Leeds show at RE:SOUL earlier this year brought 150 people out on a cold November Monday night so big things definitely coming for them in 2019. Opening act Hisoka are a brand new jazz/beats Leeds band making their debut tonight. Formed by two well established musicians on the local scene – drummer Ollie Goss and alto saxophonist Matt Hines – who played together last few years in bands like Indecent Gorilla and Pe. Now they’ve joined forces with guitarist Dan Heery and bassist Alex Miller in this new band to make some heavy duty, rhythmic and beat laden jazz. Nice…..
Support DJs are the Soul Rebels residents Lubi Jovanovic and Chris Welch playing all kinds of soulful and jazzy music from across the globe – past, present and future.